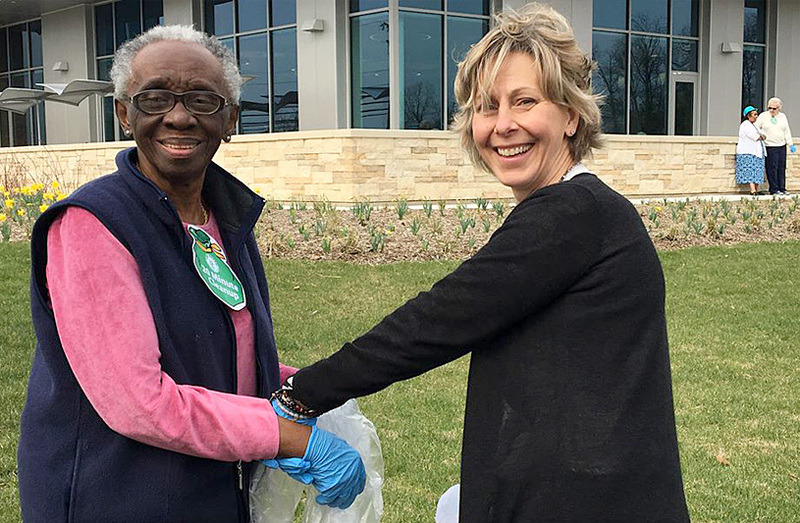 The 20 Minute Cleanup is an annual Howard County spring clean­ing project. It hap­pens every year in April. Busi­nesses, schools, com­mu­nity groups, neigh­bors and indi­vid­u­als help keep trash out of the environment. Par­tic­i­pat­ing in the 20 Minute Cleanup is easy. Just pick a loca­tion, ask some peo­ple to join you, and then safely pick up the lit­ter that you find. Use your reg­u­lar trash and recy­cling pickup ser­vice to dis­pose of what you collect. Once vol­un­teers do a cleanup, we ask that they send us an email with the num­ber of peo­ple who par­tic­ipated and how many bags of trash and recy­cling col­lected. Pic­tures are encour­aged! We post the results and thank all the par­tic­i­pants on this web­site. Cleanup results can also be shared on social media using @livegreenhoward and #20minutecleanup. If you have any ques­tions about how to par­tic­i­pate, please check out our 20 Minute Cleanup FAQ’s. Or email us. Here is a copy of the printable flyer. Feel free to use the flyer to help pro­mote the project and get peo­ple involved. 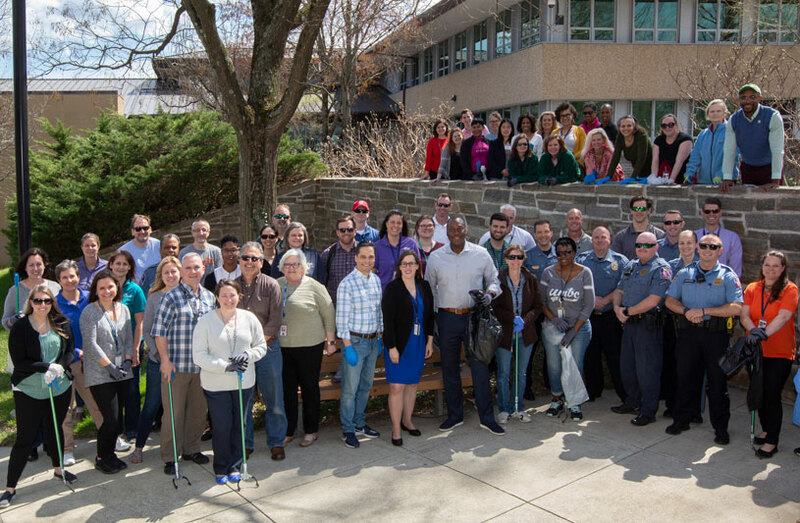 Thanks to all 2,200 people who participated in the 2018 20 Minute Cleanup!! Since 2010, over 15,700 peo­ple have par­tic­i­pated! Most did more than 20 min­utes, but at 20 min­utes each, that’s over 5,200 hours of vol­un­teer­ing! Thank you Howard County – let’s keep it going. By work­ing together, we make a real difference. 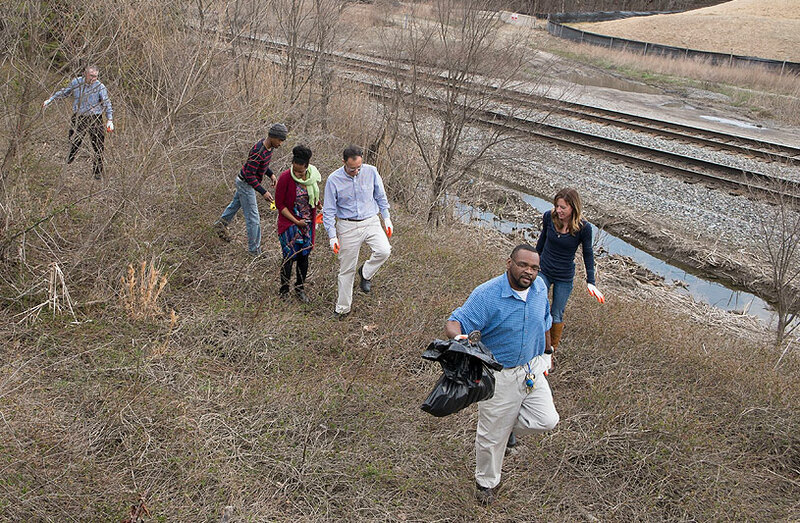 Howard County par­tic­i­pates in at least two stream cleanup projects per year. The Recre­ation and Parks Depart­ment leads cleanups each fall as part of the Inter­na­tional Coastal Cleanup. 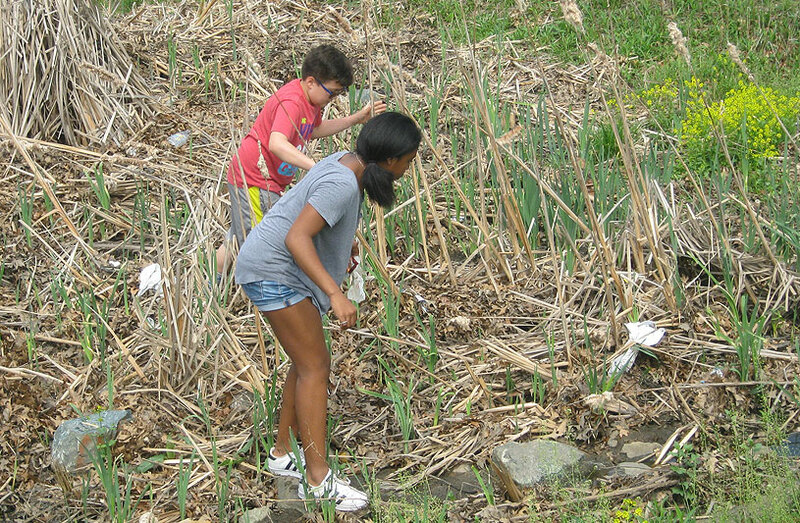 In the spring, we par­tic­i­pate in Project Clean Stream. If you would like to find out when these cleanups are hap­pen­ing, join our volunteer mailing list or fol­low live­g­reen­howard on social media. The Howard County Depart­ment of Pub­lic Works is com­mit­ted to pro­vid­ing the cit­i­zens of Howard County with a clean and envi­ron­men­tally safe com­mu­nity. Street sweeping is per­formed on most county roads four times a year. The Bureau of High­ways road crews con­sis­tently travel through­out the county clean­ing up debris on county roads. The Bureau of High­ways also oper­ates an Adopt-A-Road program. Hun­dreds of Howard County cit­i­zens are mak­ing a dif­fer­ence by vol­unteer­ing to mon­i­tor and clean up road­sides. Groups adopt a one to three mile sec­tion of a county road for a min­i­mum of two years. Lit­ter is col­lected as needed, at a min­i­mum of four times per year with a major clean-up each spring.